Learn Data Visualisation with Tableau 9 | Free eBooks Download - EBOOKEE! Posted on 2017-05-27, by voska89. Learn how to visualise your data using Tableau Desktop, guided by a Tableau Zen Master and Wannabe Data Rockstar. Do you have data that you want to see and understand? Do you want to create data visualisations? Do you want to know how to use the latest version of Tableau? Do you want to know data viz best practises from a Tableau Zen Master and dataviz expert? Do you want a step by step guide through the world or data visualisation? If you answered yes to any of the above then this course is for you. 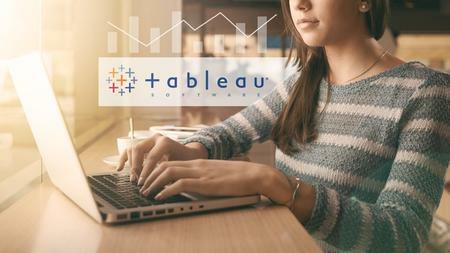 By taking this course you will learn how you can use Tableau to see and understand your data. The course is structured in such as way as to guide you step by step through the process of visualising data with Tableau. We'll begin with connecting to your data and understanding the structure. We'll look at the best ways of visualising that data. We'll look at ways to analyse the data using visual analytics. And we will put it all together into a fully interactive dashboard. Using example datasets you will be able to follow along and each section has exercises that build on what you have learnt. Unlike other courses that just teach you how to use the interface, by taking his course you will learn not only how to create interactive visualisations using Tableau but also why. You will learn the most effective ways to present your data and best practises on when particular chart types should be used. A copy of either Tableau Desktop, a 14 day trial version is available or the free Tableau Public. Some of your own data would be useful but not necessary as data sets will be provided. No comments for "Learn Data Visualisation with Tableau 9".